From the 30th November to the 2nd December 2017 it took place in Florence the IV AIQUAV Conference “Life Quality and Sustainability”. It was the first edition at which CED – Center for Economic Development & Social Change participated actively by presenting four research proposals and by proposing an entire session. The CED Director and the four CED members Carlo Drago, Carlos Ernesto Herman Rodriguez, Elkhan Richard Sadik-Zada and Mattia Ferrari presented research projects across different subjects, all related to the central theme of life quality-sustainability nexus. The research topics presented by CED ranged from circular economy to energy resilience, from Latin American constitutionalism and concept of living well to big data forecasting analysis of touristic flows. The following works have been presented: “Measuring and modeling Energy Resilience”; “Le Costituzioni del Living-well e la tutela internazionale delle diversità culturali”; “Forecasting Tourism Attraction using Social Big Data”; “Is waste-to-energy an effective strategy to increase the resource efficiency of the economy? A panel data approach to Circular Economy across Europe”. The conference was held by the AIQUAV President Filomena Maggino. All the research projects have been characterized by their multidisciplinarity: from economic to environmental issues, from capability and legality to themes such as food and health. Again, all research projects have adopted different approaches such as economic, econometric, statistic, legal, psychological, environmental and sociology approach. Through the development of composite indicators, many research projects have demonstrated a direct link to the ISTAT BES Project – Equal and Sustainable Well-being. The BES Project has been recently introduced officially in the national economic policy in order to overcome the role of GDP as a unique indicator of country well-being. The contributions of Gaetano Borrelli from ENEA and Gianfranco Bologna from WWF have been particularly appreciated and successful. Borrelli discussed the paradigm of energy transition in a sociological, philosophical and anthropological perspective. 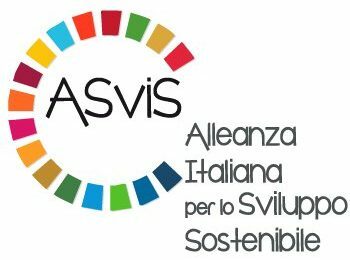 Bologna assessed the UN Sustainable Development Goals and demonstrated how they are in line with the ASviS report presented on 28th September 2017 at the Italian Parliament. To conclude, the workshops “Health and Wellbeing” have been particularly interesting and characterized by practical involving experiences. The experience at AIQUAV17 Conference represents a little but meaningful step for the CED – Center for Economic Development & Social Change, with the commitment to expand its activities of independent research and its activities of training in the upcoming period.